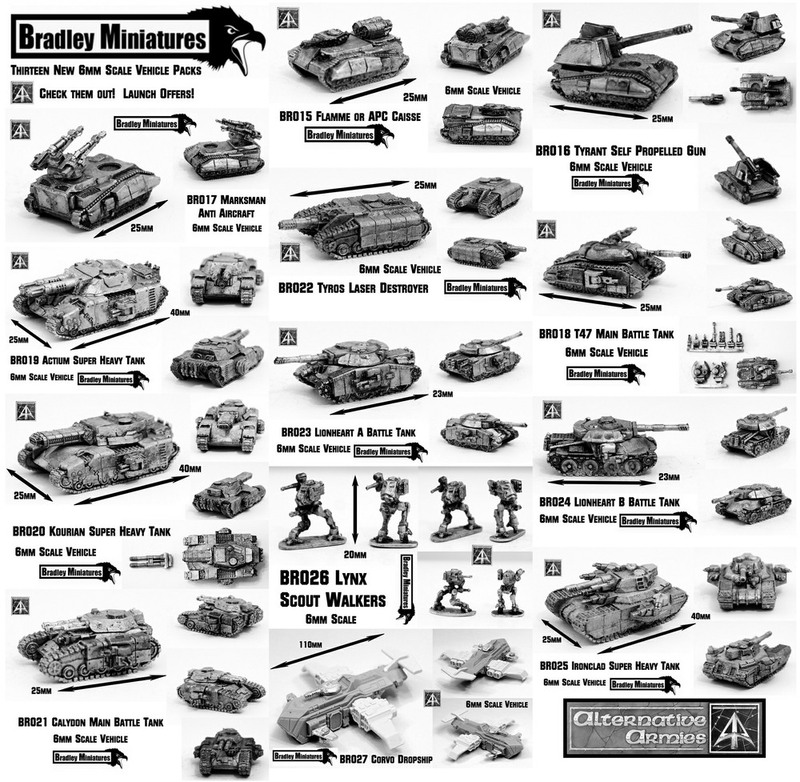 Thirteen brand new 6mm scale vehicles! Packs and singles. Bradley Miniatures second wave! Super Heavy Tanks, Walkers, MBT's and lighter vehicles as well as the massive Corvo Dropship. All now released! Special offers until 1st March 2019, spend 50GBP on Bradley and get the Corvo (worth 20GBP) free, spend 80GBP get free worldwide shipping plus the Corvo and a pack of Walkers (worth 8GBP) included free! Click through to see great images of these new codes plus the rest of the 6mm range; all twenty eight codes. This entry was posted on Friday, February 8th, 2019 at 08:43 and is filed under News. You can follow any responses to this entry through the RSS 2.0 feed. You can skip to the end and leave a response. Pinging is currently not allowed. They look epic, I could defo see those guarding my empire. Thank you. I know you love 6mm and wanted to stick with it. We did not get into it until you went to 15mm. So we swopped over!